Home Aadhaar Cards information As on 31st December 2018, a total of 123.08 Crore Aadhaar have been issued by Unique Identification Authority of India (UIDAI). As on 31st December 2018, a total of 123.08 Crore Aadhaar have been issued by Unique Identification Authority of India (UIDAI). (d) if so, the details thereof and the reasons therefor? (a) and (b) Yes, Sir. As on 31st December 2018, a total of 123.08 Crore Aadhaar have been issued by Unique Identification Authority of India (UIDAI). The State-wise details of Aadhaar issued is at annexure-A. The gender-wise details of Aadhaar generation are not maintained. (c) and (d) No, Sir. Enrolment for Aadhaar is voluntary. In accordance with Section 3(1) of Aadhaar Act, 2016, every resident is entitled to obtain an Aadhaar number and Section 7 of the said act states that- “ the central Government or, as the case may be, the state Government may, for the purpose of establishing identity of an individual as a condition for receipt of a subsidy, benefit or service for which the expenditure is incurred from, or the receipt therefrom forms part of, the Consolidated Fund of India, require that such individual undergo authentication, or furnish proof of possession of Aadhaar number or in the case of an individual to whom no Aadhaar number has been assigned, such individual makes an application for enrolment. 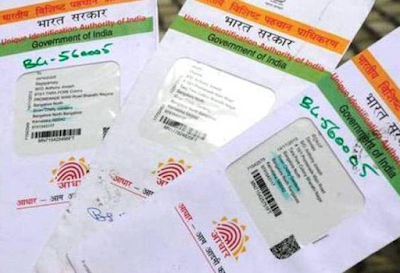 Provided that if an Aadhaar number is not assigned to an individual, the individual shall be offered alternate and viable means of identification for delivery of the subsidy, benefit or service.